With the improvement of people's living standards, "healthy consumption" has gradually become a new consumption trend. Under such a background, healthy products, such as sugar-free and sugar-reducing beverages, emerge as The Times require. In response to this market demand, on July 26-27, a beverage innovation summit themed " Natural Ingredients, Sugar-reducing Future " was held in Anji, Zhejiang. 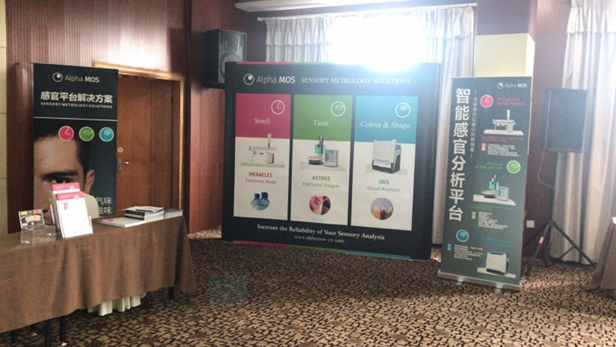 This summit was hosted by the Zhejiang Beverage Industry Association, sponsored by Skyherb. Alpha MOS, as an expert of Electronic sensing systems, participated in this summit, shared our views on how to meet this new market trends and how to cope with the new market demands with many industry giants. If you are intreated in sensory QC or formula optimization for your products, Contact us NOW!